App permissions - you know what this is about. Apps will now ask for important permissions when they run instead of getting everything approved at installation. You can also go into the settings and modify the allowed permissions. Chrome custom tabs - Apps will be able to add custom Chrome tabs that run on top of the app. This gives you easy access to Chrome autofill, sign-ins, and more. This is not only for M, but some version of it is supported in Chrome dev right now. New intents - Apps on Android M will be able to verify link intents with the platform so you don't have to go through the app picker. It should be much faster. 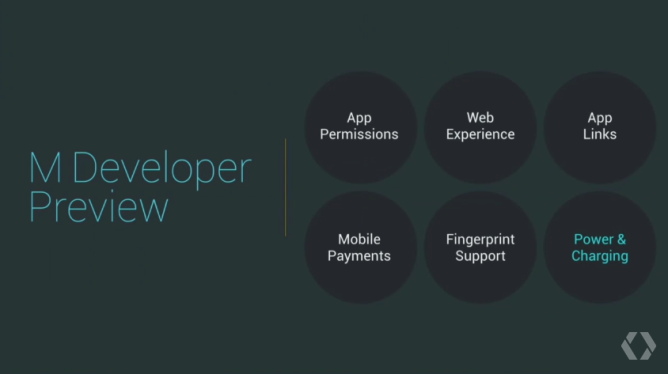 Fingerprint readers - We knew this was coming too, but Android M will have full support for fingerprint reader hardware. No word on nexus hardware that will support it. Low-power/doze - This was rumored too, but we've heard this song and dance before. Lower power usage, you say? Google seems serious this time. Apparently apps on M will be able to ratchet down background activity when they haven't been active for a while, but still wake up for important events (like alarms). Android M will offer up to twice the standby battery life. There's also USB type-c support for both charging and acting as a charger for other devices. Neat. 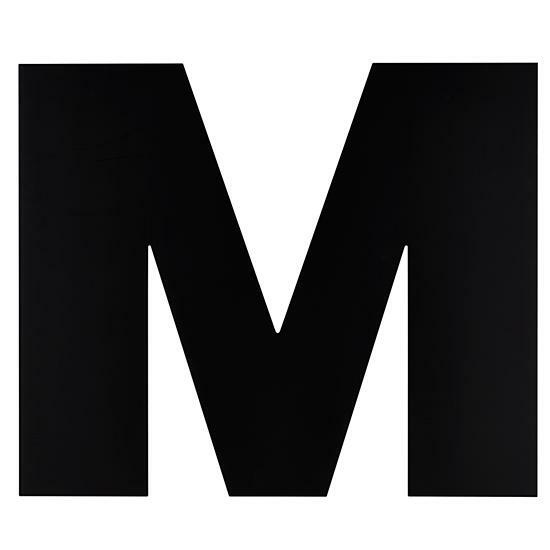 Google also said there are a lot of little things in M that will improve the experience. For example, word selection will be better with word chunking. The sharing menu has direct access to your contacts too. Oh, and the volume controls are a little more powerful when compared to Lollipop. As with Android L, there's going to be a developer preview. We'll have all the details on that soon. Watch for the image downloads to go live soon. Google also announced Google Now on Tap. It didn't include this in the main M feature list, which is strange. Google Now on Tap lets you get contextual information and answers based on the context of what's going on in an app. It looks really cool. Google left quite a lot out of the announcement. Check out our feature spotlight series for all the details.